On August 6th, 1945, the first belligerent atomic bomb, named Little Boy, was dropped by the Enola Gay, a B-29 superfortress by Colonel Paul Tibbets. Over 170,000 people died that day, many died after ward. Sadako was only two years old when Little Boy was dropped on Hiroshima. 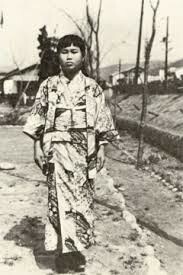 She lived 1.6 kilometers, or .99 miles, from Ground Zero. In the years afterward, she developed strange lumps on her neck and behind her ears, which turned purple. When she got to a hospital, the doctors diagnosed her with leukemia, blood cancer. She died October 25, 1955. 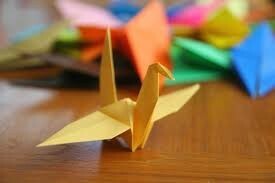 While she was dying, Sadako made paper cranes. She had heard a story that if you made 1000, your wish would be granted. Unfortunately, she never got to 1000, she died at 644. But her friends finished them, and buried them with her.